After you’ve listened to the podcast, I’d love to continue the conversation. Be sure and leave a comment! Do you enjoy traveling? If so, what tips and tricks do you have to ensure you are able to do it regularly? What does living a full and intentional life look like for you? If you’re new to podcasts, think of them like little radio shows that you can listen to at your convenience. They are perfect to listen to and learn from as you workout, fold laundry, wash dishes or conquer the world. 1. Listen right here on the blog. Click the little play button at the beginning of this post. 2. Listen on iTunes or Stitcher or Google Play! – Be sure and subscribe so you don’t miss an episode! Also, if you would be so kind as to leave a rating on iTunes and/or write a 2-3 sentence review there or on Stitcher? Your commentary or rating helps make the podcast more “findable” by others who might not know it exists! 3. Share today’s show – Email the link to a friend or share on social media. Just click on the sharing buttons at the bottom of this post! You have been so great to join me on the journey here on the blog, I hope you jump right in do the same on the podcast! 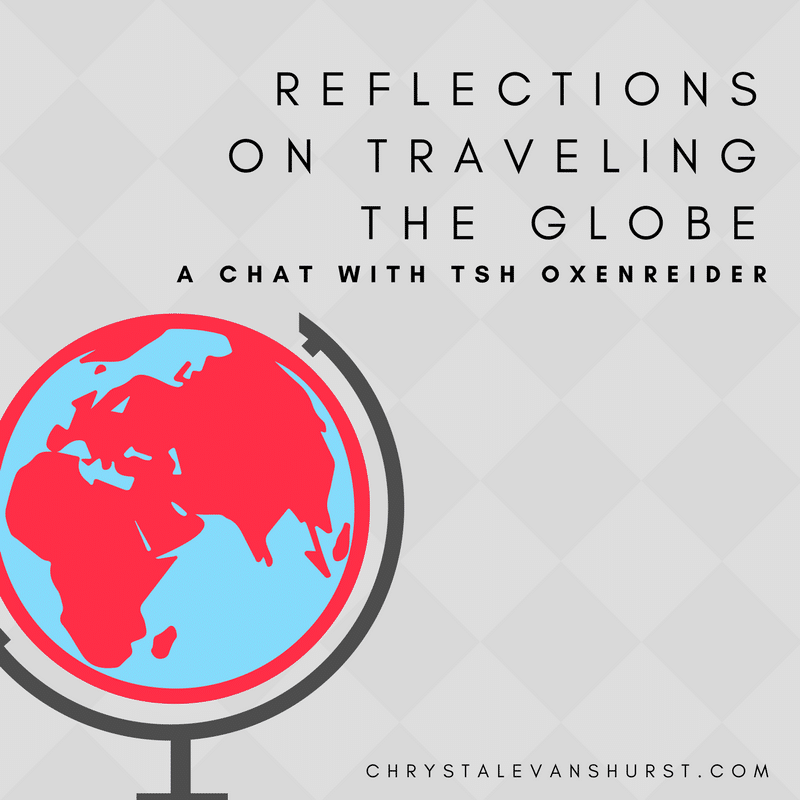 There are no lists that include "#116- Reflections on Traveling the Globe – Tsh Oxenreider". You can add this episode to a new or existing list.